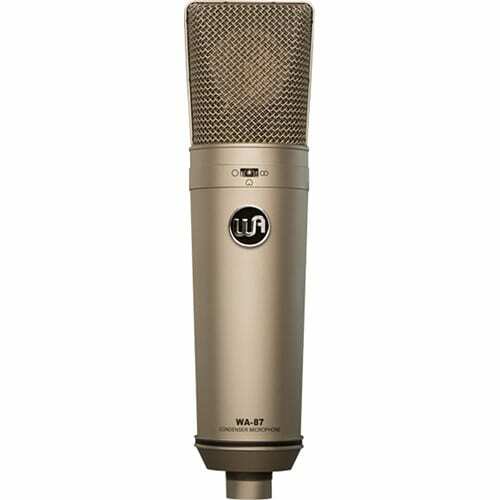 The nickel WA-87 Multi-Pattern Condenser Microphone from Warm Audio features all discrete, premium components such as Fairchild FETs, tantalum, polystyrene, and WIMA film capacitors, and is rounded off with a Cinemag USA output transformer. 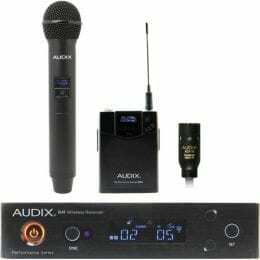 It can be used to capture audio in several environments such as recording studios, live stage, theaters, and is suitable for brass, woodwind, and string instruments. 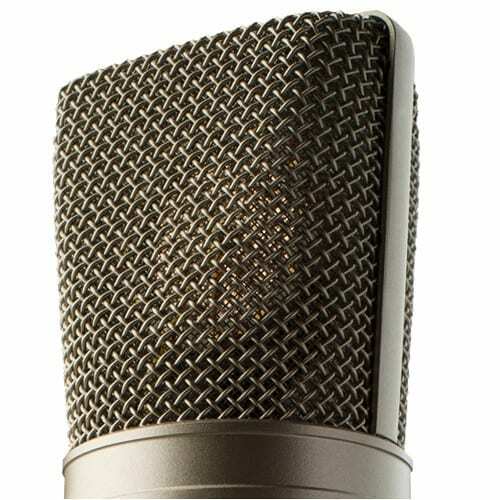 Featuring a Lens Kondensator custom reproduction of the classic K-87 dual backplate/dual diaphragm capsule found in the early ’87 mics, the WA-87 provides a selection of three polar patterns: Figure-8, omnidirectional, and cardioid. 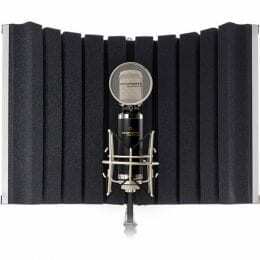 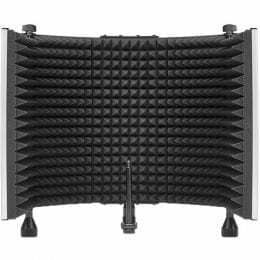 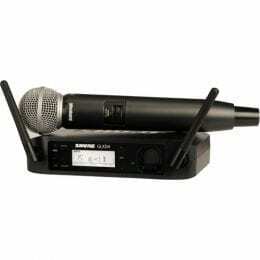 It has a 20 Hz to 20 kHz frequency response and comes with a shockmount, a hard mount, and a wood box for storage. 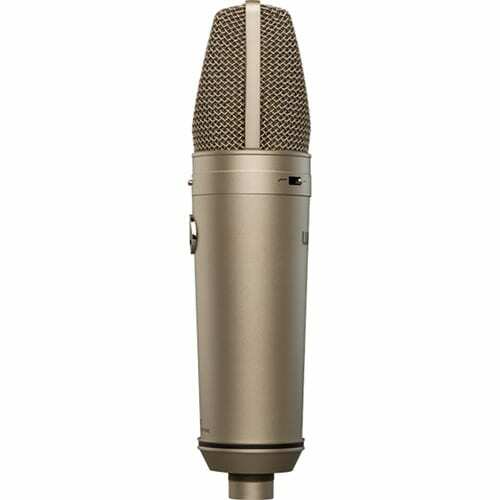 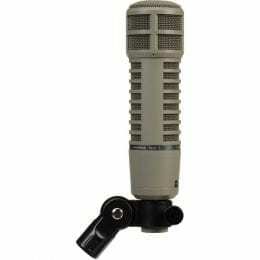 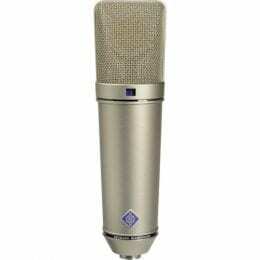 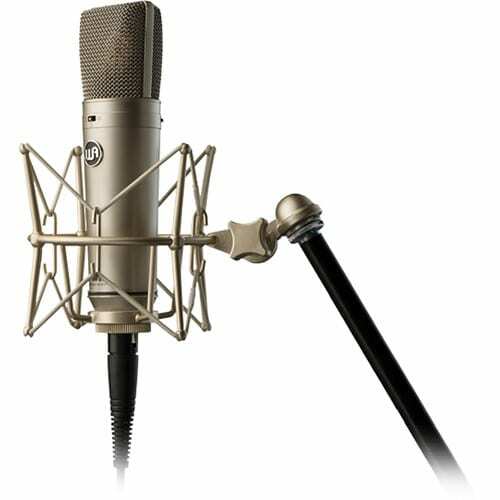 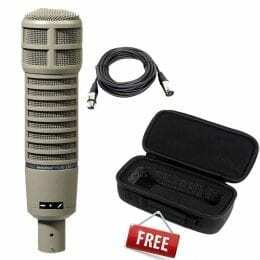 In addition, it uses a 3-pin, 24k gold-plated XLR connector. 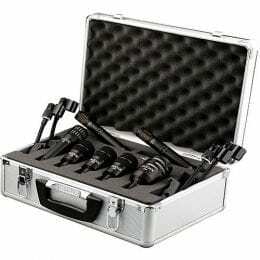 Box Dimensions (LxWxH) 14.9 x 11.7 x 6.4"